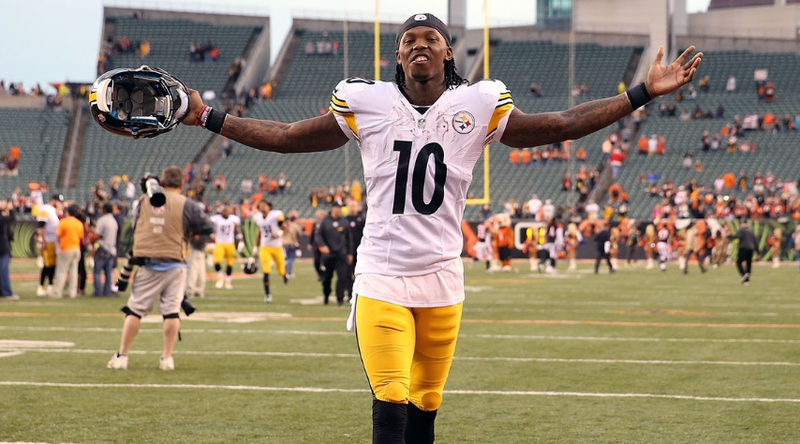 The American football wide receiver who is currently playing for the Oakland Raiders is Martavis Bryant. He was drafted by the Pittsburgh Steelers in the fourth round of the 2014 NFL Draft. Oakland Raiders brought back Bryant to play in spite the rumors. 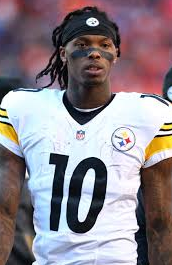 Martavis Bryant was born on 20 December 1991 at Calhoun Falls, South Carolina, United States. He was born to Roberta Bryant. He attended Calhoun Falls High School transferred to T. L. Hanna High School. In 2011, he attended Clemson University. Bryant’s height is 1.96 m and weight is 91 kg. He has black color hair and black color eyes. Overall, he has the balanced and healthy body. As a junior, he had 44 catches for 776 yards and six touchdowns. As a senior, he made 70 receptions for 722 yards and 11 touchdowns. He also won the 200 meters at the ‘2010 Region 1-4A Meet’. In 2011 as a freshman, he finished with 9 receptions, 220 receiving yards, and 2 touchdowns. He played 14 games. In 2012 as a sophomore, he finished with 10 receptions, 305 receiving yards, and 4 touchdown catches. In 2013 as a junior, he finished with 42 receptions, 828 receiving yards, and 7 touchdown receptions. On 5 January 2014, he announced that he would forgo his senior season and enter the 2014 NFL Draft. On 6 March 2014, he participated at ‘Clemson's Pro Day’. He was ranked as the 14th best wide receiver prospect available in the draft by NFL Draft Scout. He was ranked the 13th best wide receiver by NFL analyst Mike Moyock. The Pittsburgh Steelers selected Bryant in the fourth round of the 2014 NFL Draft. On June 9, 2014, he signed a four-year contract with the team. In 2014 season, he made 26 catches, 549 receiving yards, and eight touchdown receptions. He played in ten games and made three starts. On 27 August 2015, he was suspended for four games due to violating league’s substance abuse policy. And on 18 October, he made his 2015 debut. He made 10 catches and 87 yards in a win over Denver Broncos. On 9 January 2016, in a Wild Card Round playoff game, he had nine receptions for 154 receiving yards and 40 rushing yards. Again On March 14, 2016, the NFL announced he had been suspended for the entire 2016 NFL season for violating the league's substance abuse policy. In 2017, he entered the regular season. He finished the season with 50 receptions for 603 receiving yards and three receiving touchdowns. On 26 April 2018, he was traded to the Oakland Raiders for Oakland's third-round pick in the 2018 NFL Draft. On 1 September 2018, he was released by the Raiders. On 12 September 2018, the Raiders decided to bring back him despite rumors he could possibly face a year-long suspension dating back to June. Bryant is currently in a relationship with girlfriend Deja Hiott. He has two daughters named Brooke and London and a son named Kalle from this relationship. But they have not spoken regarding the future of their relationship. Bryant’s net worth is estimated to be $4 million.